Near the end of 2014, President Obama held a press conference where he announced some basic guidelines for expanding a concept known as “Deferred Action.” I won’t go into the specifics of his program here, but the basic idea is that for certain undocumented immigrants, it doesn’t make sense to deport them. These are people who have been in this country for years, who have stayed out of trouble, who have an education, and who are willing to go through an application process and pay money to the government of the United States. For those who qualify, they get (a) protection from deportation for 2-3 years; (b) the ability to get a work permit; (c) the ability to get a social security number; and (d) the ability to get a drivers’ license. Right after Obama’s press conference, I turned my television to FOXNEWS to see what commentary they’d have to offer about Deferred Action. I was not surprised by the level of ignorant rhetoric spouted by the talking heads on that network. They immediately started offering “expert” legal commentary about how what Obama was trying to do was unconstitutional….how it was “amnesty for criminals.” Well, I went to law school, I understand the Constitution, and being surrounded by criminal defense attorneys, I like to think I know a little something about criminals! I’ll try not to get too hyperbolic here, but it will be a bit long. Here’s why it’s not unconstitutional. We all learned in elementary school that there are 3 branches of the federal government in the United States. Those branches are (1) the legislative; (2) the judicial; and (3) the executive. (These are set out in the United States Constitution). Anyway, as you may recall, the legislative branch is Congress – they make the laws, in theory. They at least VOTE on which bills become laws. The judicial branch is charged with the responsibility of interpreting these laws when necessary, to insure that the laws Congress passes are in conformity with the United States Constitution. When it comes to enforcing the laws, that’s where the executive branch comes in. Think of the President of the United States as the Chief of Police of the United States. And also think of the president as the head prosecutor, since the executive branch is responsible prosecuting criminals (through the Department of Justice). 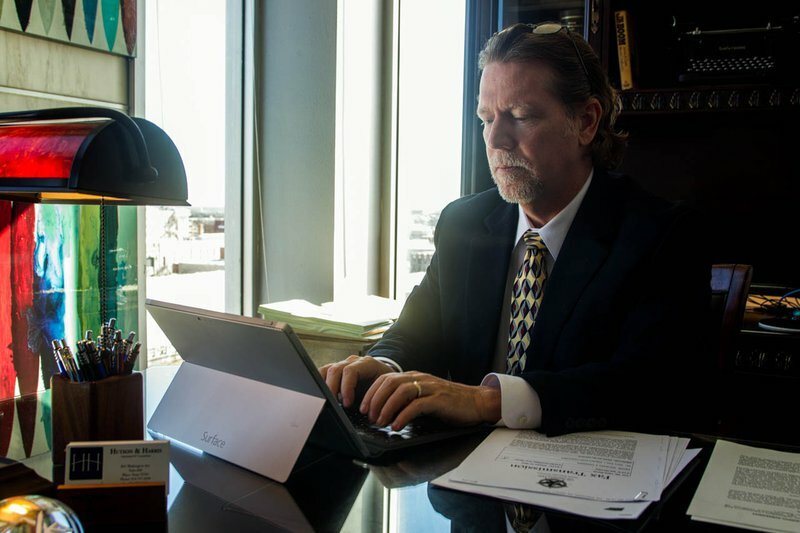 Now, in every county or parish in the United States, the job of prosecuting crimes at the local level is handled by the office of the District Attorney. This is like a minor league version of the Attorney General. (Stick with me, I have a point…eventually). If you’ve ever been arrested or know somebody who has been arrested, you may be familiar with the concept of “Deferred Adjudication.” This is where the prosecutor says, “Ok, we all agree that you committed a crime, but if you keep your nose clean for a period of time, if you pay your fines, and if you successfully complete whatever conditions we tell you to complete, then we won’t give you the punishment that the law says we CAN give you (such as jail time).” And if the accused successfully completes this type of probation, then the accused is not officially “convicted” of the crime he committed. This is done thousands of times a day, every working day, in every city in America. Nobody claims it is somehow unconstitutional to do this. It would be impossible and ridiculous and overly harsh to send every person who is accused of a jailable offense to jail. It is known as “Prosecutorial Discretion,” and it has existed for as long as America has existed. “Deferred Action” is not amnesty, and it is not unconstitutional. It is just the executive branch utilizing its prosecutorial discretion. What the President is saying is, “We all agree that your presence in this country is not legal. But if you kept your nose clean for years, you pay some money, and you obtain at least a high school education and you meet other conditions, then we are not going to deport you AT THIS TIME.” Remember, it’s called “Deferred Action,” not “You Get To Stay In America Forever And Your Immigration Violation Is Forgiven Action.” YGTSIAFAYIVIFA is way too long to be legal. It is absolutely Constitutional for the President of the United States to decide which federal offenses are going to be prosecuted and how. If you believe that “Deferred Action for Childhood Arrivals” (aka “DACA”) is unconstitutional, then you must also believe that every person convicted of possession of 2 grams of marijuana in Texas HAS to go to jail for 6 months, because that is a punishment that is actually possible under the law. That’s ridiculous – just because a punishment (such as deportation) is POSSIBLE does not make it mandatory. By the way, it is worth mentioning that merely being in this country in violation of immigration laws is not a crime at all. “Illegal presence” as the offense is called, is not a violation of the U.S. criminal code. A person cannot be sent to prison for being here without authorization from immigration authorities. It is, however, a violation of civil immigration laws, for which the federal government can impose civil penalties, namely deportation. So hopefully, you now understand why I don’t think DACA or DAPA is unconstitutional. But, just because something is constitutional does not necessarily make it a good idea. However, we happen to believe that DACA is a very good idea. It is not practical or even advisable to deport every undocumented immigrant from the United States. If you believe that it is advisable to deport a child who came to this country in a car seat when she was 2 years old, and who is now an honor roll student graduating from high school, then you’re not really thinking it through. That child is an asset to this country, but only if she is allowed to contribute. Her whole life has been spent in America, and since she’s not committing crimes, she will not realistically be deported – she’d be as lost in Mexico as the gringo writer of this blog, so she’s staying. This is not somebody who is ever going to receive welfare benefits (like a lot of Americans). She is going to work – and in order to work, she needs to have a work permit/social security number (so that she can PAY TAXES), and she needs to be able to drive to her job. And if she’s going to be driving to her job, she needs to have auto insurance. None of these things is possible without a program like DACA. I have spent a fair amount of my career helping people who have been injured in auto accidents, and there is nothing harder than explaining to an injured U.S. Citizen that there’s nothing I can do to help him, because the driver who hit him had no auto insurance. For those of you who have raised a teenager, imagine telling your kid on his 16th birthday that the reason he can’t go get his drivers’ license like all of his friends is because he is not a U.S. Citizen. This is an actual story told to me by one of our DACA clients. She had no idea she wasn’t a U.S. Citizen until her 16th birthday. If you’re saying to yourself, “serves her right for having parents who brought her to this country when she was a baby,” then I don’t understand you, and I assume you are the same type of person who believes that only first-born males should inherit property. You’re literally defending a birth right in either situation. If the United States wants to build a wall 500 feet high to keep out illegal immigrants, then do it. But for the 50 years where that has been screwed up, please address the reality of the situation. You can either keep people in the shadows, not paying taxes and not having automobile insurance, or you can make it possible for them to contribute to our melting pot of a society. Legal immigration for most people from Mexico is a process that takes decades, now, and the line is getting longer. I don’t think most people understand that. DACA is the best idea in an otherwise total absence of immigration reform. If Congress won’t do it, somebody has to. [Edit] On June 23, 2016, The United States Supreme Court issued a one sentence statement relating to the injunction that has prevented DAPA from moving forward. That statement is “THE JUDGMENT IS AFFIRMED BY AN EQUALLY DIVIDED COURT.” This one sentence pretty much guarantees that immigration reform is dead for the remainder of Obama’s Presidency. I should probably change the title of this post to “Why Deferred Action SHOULD BE Legal”…but I won’t.